Dar es Salaam’s population of 4.36 million (2012 Census) is growing at an annual rate of 6.63% (UN-HABITAT, 2014)—the population will more than double within the next ten years. Currently less than 10% of the city is connected to a public sewer network, and more than 50% of wastewater from these sewer networks is being discharged into the ocean untreated. The remaining 90% of the population use on-site sanitation options, with more than 90% of this wastewater being discharged via soak-aways into the ground, or into stormwater drainage and rivers. This lack of wastewater treatment leads to groundwater contamination, public health risks and environmental degradation. 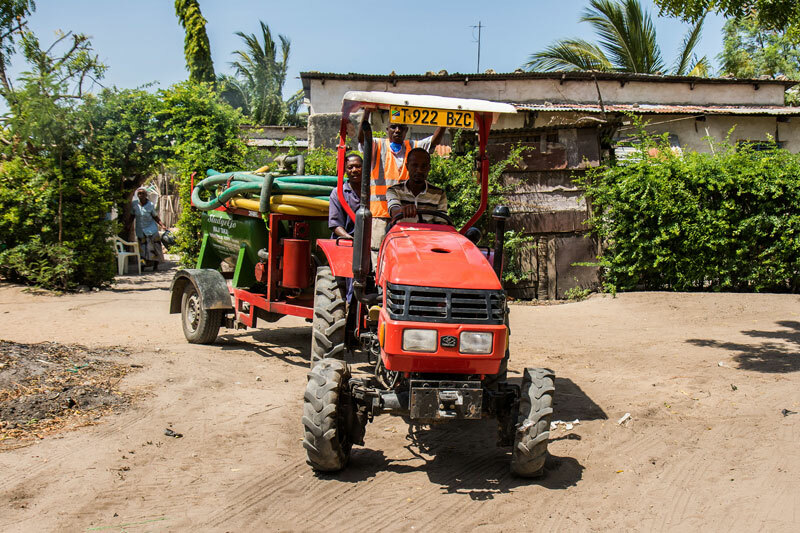 The project "Demonstration of decentralised wastewater projects in non-sewered areas of Dar es Salaam", funded by UN EP and UN-HABITAT, intends to showcase the suitability of decentralised wastewater treatment projects for non-sewered areas such as the large housing developments emerging on the outskirts of Dar es Salaam. A key element of this project is a large and ongoing monitoring and evaluation campaign. 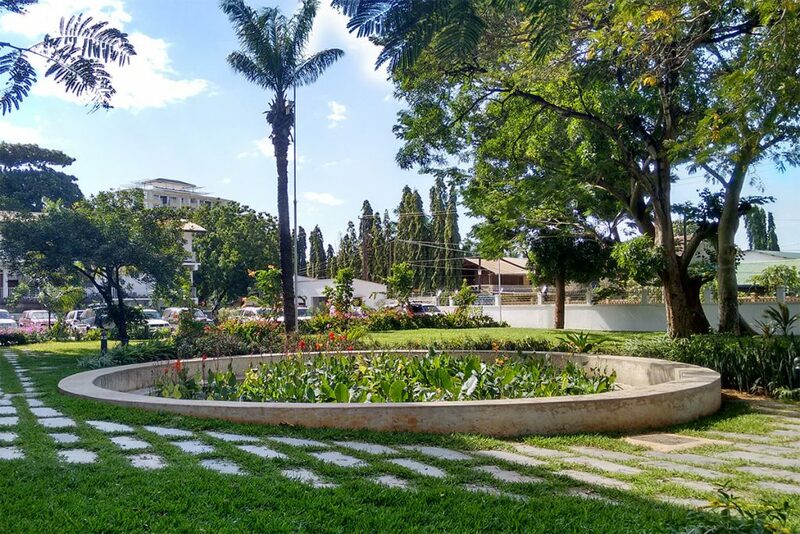 Twenty existing decentralised wastewater treatment systems from BORDA and its Tanzanian partners, as well as two waste stabilisation ponds operated by the municipality, are to be visited twice—once in the rainy season and once in the dry season. During the past rainy season, all sites received a visit from the BORDA Tanzania M&E team along with representatives from the Ministry of Water and Irrigation (MoWI) and the Tanzanian Bureau of Standards (TBS). In order to gather baseline data on the projects’ institutional, social, financial and technical performance, the team interviewed people responsible for the system (e.g. the operator and representatives of the management entity), visually inspected the system, and took water samples to test the water quality and treatment efficiency of each module. The same data from all project sites will be gathered again in the upcoming dry season. The aim of this project is to support the development of recommendations for technical standards and guidelines on the construction and operation of decentralised treatment systems. These technical standards and guidelines will be disseminated throughout the sector, to support the further scaling up of such technologies in Tanzania.